The Union Cabinet, chaired by the Prime Minister Narendra Modi has given its approval for the creation of a Credit Guarantee Fund for Micro Units Development Refinance Agency (MUDRA) loans and to convert MUDRA Ltd. into MUDRA Small Industries Development Bank of India (SIDBI) Bank as a wholly owned subsidiary of SIDBI. The Fund is expected to guarantee more than Rs 1,00,000 crore worth of loans to micro and small units in the first instance. 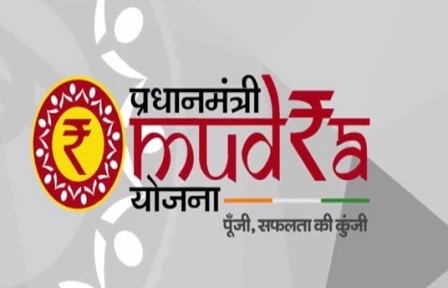 (i) Establishment of Credit Guarantee Fund for MUDRA Units (CGFMU) for guaranteeing loans sanctioned under Pradhan Mantri Mudra Yojana with effect from 8th April, 2015 with the objective to reduce the credit risk to Banks/NBFCs/MFIs/other financial intermediaries, who are Member Lending Institutions (MLIs). (ii) The National Credit Guarantee Trustee Company Ltd. (NCGTC Ltd.), a wholly-owned company of Government of India, constituted under the Companies Act, 1956 (2013) to manage and operate various credit guarantee funds, shall be the Trustee of the Fund. (iii) The guarantee would be provided on portfolio basis to a maximum extent of 50% of Amount in Default in the portfolio. The MUDRA (SIDBI) Bank will undertake refinance operations and provide support services with focus on portal management; data analysis etc. apart from any other activity entrusted/ advised by Government of India. MUDRA Bank and a Credit Guarantee Fund was proposed to be set up with a refinance corpus of Rs. 20,000 crore and a corpus of Rs.3,000 crore respectively as per the Budget Speech for 2015-16. As a precursor to the launch of the Pradhan Mantri MUDRA Yojana (PMMY) in April, 2015, MUDRA Ltd. was set up as a corporate subsidiary of SIDBI in March, 2015. The RBI has allocated Rs 20,000 crore and the first tranche’ of Rs 5000 crore has been received by MUDRA as refinance.